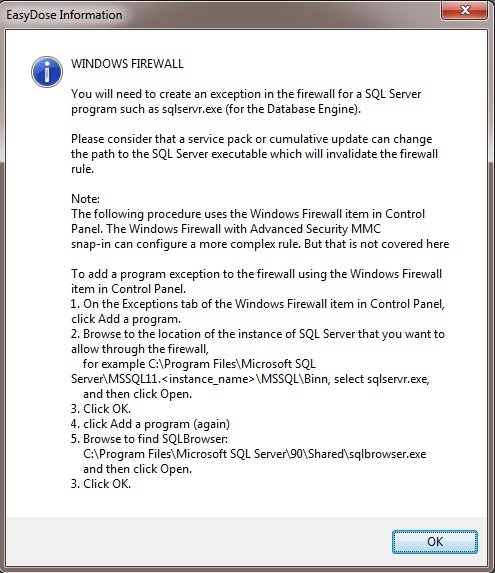 The following Windows Firewall information will be displayed during installation and is accessible from the Maintenance Menu. This information is relevant particularly when installing additional workstations. After installation, this form can again be accessed from the maintenance menu in the EasyDose program. Click ‘OK‘ to continue.